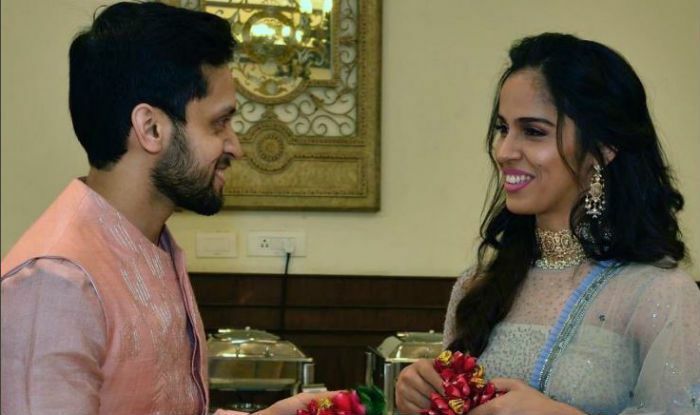 Ace Badminton player Saina Nehwal and her longtime beau Parupalli Kashyap tied the knot today in a private ceremony. For the wedding, Saina chose to wear a pastel blue and pale pink lehenga with minimal detailing. She teamed up her look with subtle makeup, gold jewellery and her hair styled in loose curls. On the other hand, Kashyap chose to colour coordinate with his bride by wearing a pale pink sherwani. The couple took to social media to share the happy news with their fans from the ceremony. It is believed that the two had been dating for over a decade but kept a lid on their affair. The two players are the biggest stars in the badminton circuit for India, Saina Nehwal also has an Olympic bronze. Earlier, when Saina was asked about the reason for picking December 16 for the wedding date, she said that was the only date the two of them were free. “We started travelling for bigger tours from 2007-08 onwards. We played tournaments together, trained together and slowly, started paying more attention to each other’s matches,” Saina told TOI. 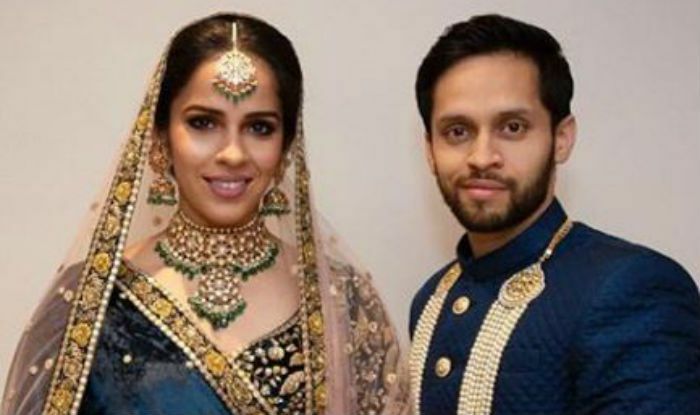 Ace Badminton player Saina Nehwal and her longtime beau Parupalli Kashyap got married on December 14 in a private affair. Now, the newlyweds are hosting their wedding reception for close friends and family. For the reception, Saina chose to wear a rich indigo velvet lehenga designed by celebrity designer Sabyasachi. Parupalli also colour coordinated with his bride and was seen donning a quilted indigo sherwani teamed up with a beautiful tussar shawl. The couple looks beautiful as they pose together for the camera. Saina has teamed up her look with minimal makeup, bridal jewellery and a neat hair bun. Her look is accessorised with a wedding set crafted with Burmese rubies, uncut diamonds and emeralds from the Sabyasachi Heritage Jewelry collection. On the other hand, Parupalli look is completed with an uncut diamond and pearl necklace from the Sabyasachi Heritage Jewelry collection. For the wedding, Saina chose to wear a pastel blue and pale pink lehenga with minimal detailing. She teamed up her look with subtle makeup, gold jewellery and her hair styled in loose curls. On the other hand, Kashyap chose to colour coordinate with his bride by wearing a pale pink sherwani. The couple took to social media to share the happy news with their fans from the ceremony. It is believed that the two had been dating for over a decade but kept a lid on their affair.